A few weeks back, we decided to give names to the Google Assistant voices. Now, Google has said, "no, those are colors." 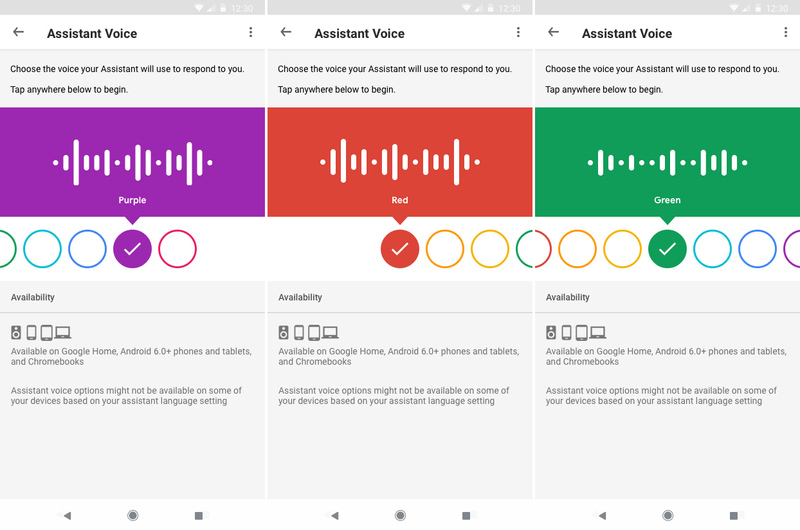 Google is rolling out a new UI for the voice selection screen that gives each option its own color. It looks snazzier, too. The updated screen now has the voices in a horizontally scrollable UI (there should still be eight of them). Each one has a different color, and there's a large waveform animation when you tap to test them out. Google says the colors have been assigned randomly, but it's unclear if it means they will be random for each user. That would be rather confusing. Google is rolling the new screen out as we speak, but it'll take about a week to reach all users. And "all" in this case just means all users with US English as their chosen language.